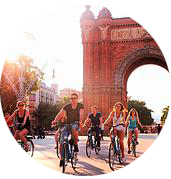 Discover Barcelona by bike! You only need to pedal to experience the city in a relaxed and ecological way. 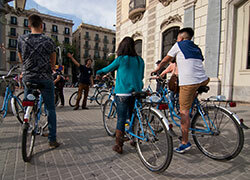 The guided bike tours are designed to enjoy a perfect blend of culture, art and fun. 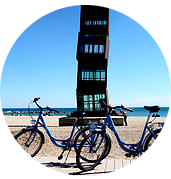 Rent your bike for 6 €, we will give you a map and tell you all about the best routes and places throughout the city, so you can enjoy Barcelona at your leisure! We will design the Bike Tour to your needs, just tell us what you want and we will customize the most appropriate route. Tours can be for corporate events, students, tour operators, families and friends. This tour is perfect for art and architecture lovers. Wander through the alleys, secrets, and legends of the ancient and medieval Barcelona … and end up exploring the most emblematic works of the Modernism movement. A cultural and fun experience right by the sea! Enjoy the amazing sights from the coastline. You will discover the history, present and past of the harbor as well as the charm of its typical neighborhoods (La Barceloneta-Poblenou-Port Olimpic). 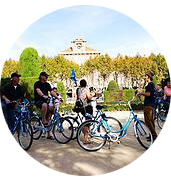 You will discover the palaces from the international Exhibition of 1929, its Magic Fountain, the Olympic Stadium (Olympic games) and much more… Enjoy a relaxing ride to Montjuïc, offering wonderful views of the whole city. 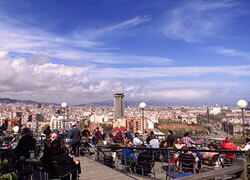 Delight your senses discovering the medieval Barcelona and the charm of the Born district. 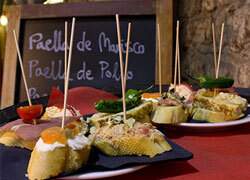 Loose yourself in the Gothic Quarter with its narrow streets, become familiar with our typical dishes and taste the “Tapas”.